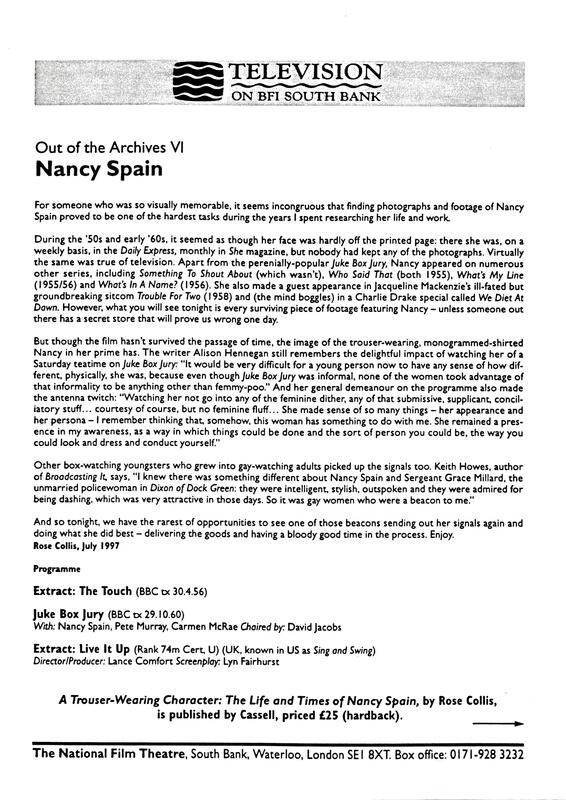 When Nancy Spain died in a plane crash, aged 47, outside Aintree on Grand National day in 1964 with her life partner, Joan Werner Laurie (founding editor of She magazine), she was at the height of a brilliant media career that began as a cub sports reporter in her hometown of Newcastle in the 1930s. From her early days writing for the Newcastle Journal, she became a mainstay of popular newspapers and magazines, including Good Housekeeping, The Daily Express and The News of the World. The most famous female all-media celebrity of the time, the Roedean-educated great-niece of Mrs Isabella Beeton was a popular journalist and author, with over 10 camp and frothy crime novels to her name, as well as biographies, children’s fiction and the best-selling Nancy Spain Colour Cook Book. She even found time to pen three best-selling memoirs: Thank You Nelson, about her time serving in the WRNS; Why I’m Not A Millionaire, a jaunty master-class in name-dropping and the more reflective A Funny Thing Happened on the Way, published a few months after her death. The self-dubbed ‘trouser-wearing character’ was also a firm favourite on radio and TV, becoming a permanent panellist on My Word, Juke Box Jury and What’s My Line? as well as a lively contributor to Woman’s Hour. Her famous friends included Noel Coward, Tony Warren, Alan ‘Fluff” Freeman, David Jacobs and Lord Beaverbrook; her lovers, Marlene Dietrich, Ginette Spanier and Lena Horne. She was impersonated by Peter Sellers, sued by Evelyn Waugh, and ‘engaged’ to her great friend, Gilbert Harding, the most famous man on British television during the 1950s. 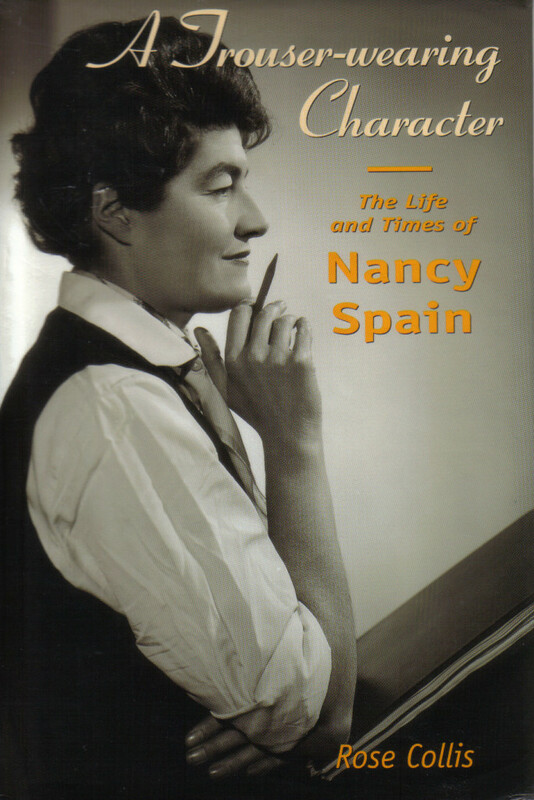 In this revealing biography, Rose Collis rediscovers Nancy Spain’s public and private life and creates an account of a truly exceptional woman – and the shocking (and ultimately tragic) secret she kept from her public, even after her untimely death. Interviewees include Tony Warren (who wrote the Foreword), Nick Werner Laurie, Tom Carter, Jackie Forster, Michael Foot, Denis Norden, Christina Foyle, Roger Storey (Gilbert Harding’s private secretary), David Jacobs, Alan ‘Fluff’ Freeman and Sandy Wilson. ‘Biography that genuinely tastes of the subject and not just the author’s vision are rare feasts. 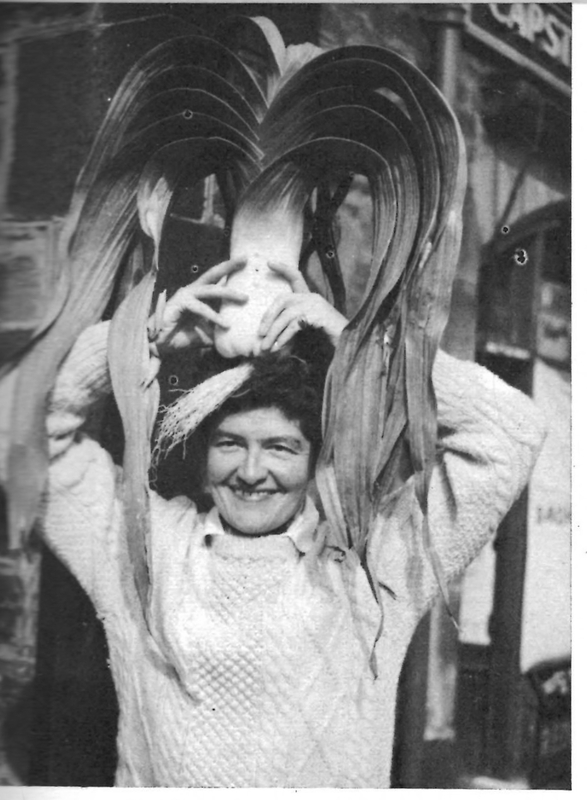 Rose Collis has followed up her first publication with another success.